Billionaire investor Carl Icahn, who is fighting Dell Inc. (DELL) founder Michael Dell's plan to take the struggling company private, has entered a confidentiality agreement that would give him access to the computer maker's financial records. Michael Dell, who is also Dell's CEO, is planning a $24.4 billion buyout that would make the Round Rock, Texas, company a privately-owned business. But Icahn and other investors say the price of $13.65 per share is too low. 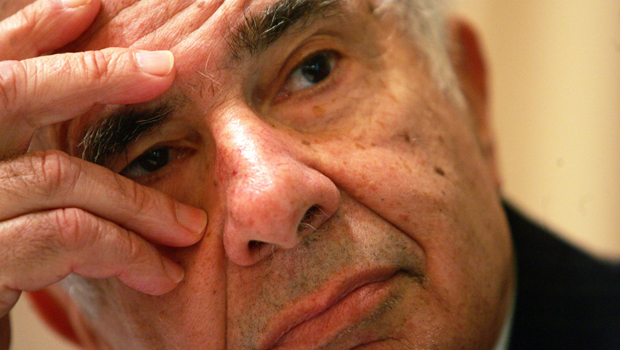 Icahn's company, Icahn Enterprises, has said it holds a substantial stake in the company. Icahn wants the company to pay a special dividend of $9 per share, financed with existing cash and new debt, if shareholders reject the buyout offer. The investor told Dell executives in a recent letter that if they decline to promise this one-time payout, then he wants the company to combine a shareholder vote on the buyout with its annual election of directors. In that case, Icahn would nominate candidates who would implement the special dividend if they are elected, and Icahn and his company could provide more than $5 billion in loans to ensure prompt payment of the dividend. Icahn wrote in his letter to Dell last week that the PC maker's future is bright, and all shareholders should benefit from that, not just Michael Dell. Icahn is known for buying out-of-favor stocks and boosting them by pressuring or replacing boards of directors, installing new management and other hard-knuckle tactics. Analysts say Icahn's entry into the debate over the deal makes it less likely that shareholders will accept Dell's current buyout offer. Dell appointed a special committee of directors last August after Michael Dell notified the company that he was exploring a buyout bid in partnership with other investors. Michael Dell has agreed to contribute 273 million of the company stock that he controls and $750 million in cash to help finance the buyout, which relies primarily on loans from PC software maker Microsoft Corp. and an assortment of banks. Dell's special committee has said it already considered a special dividend during a "rigorous" five-month review that culminated with the buyout plan. It said last week that it is conducting a search for better alternatives to the proposed buyout, and Icahn and others are welcome to participate. Dell shares climbed 15 cents to $14.31 in morning trading Monday, while broader trading indexes fell slightly. Shares of Icahn Enterprises rose 43 cents to $61.23.